SCOTTISH schoolboy Jack Henderson has bagged another top award, this time from the Institute of Fundraising, after raising more than £30,000 for charity. 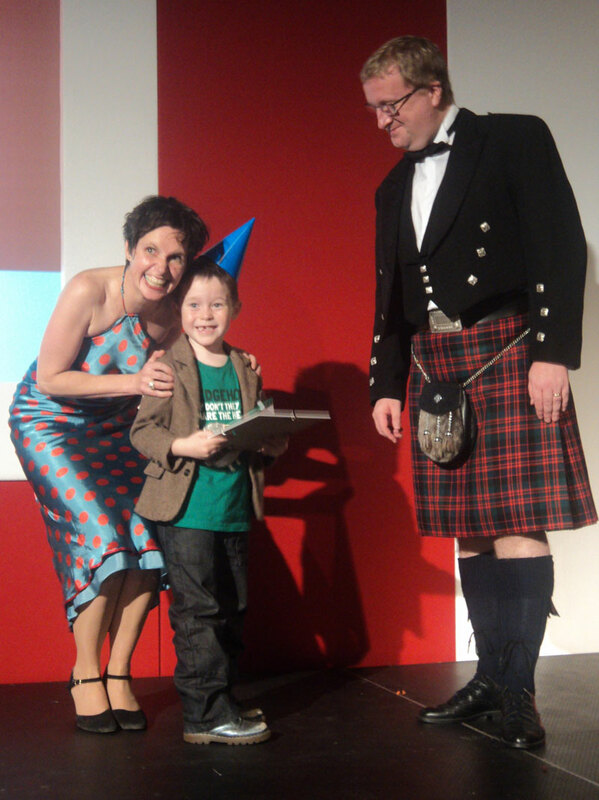 The six–year–old from Prestonpans, East Lothian was recognised for his efforts in the Digital Fundraising category at the awards ceremony after he became an Internet sensation when news of his fundraising for the Sick Kids Friends Foundation spread earlier this year. Jack began raising funds for the charity – drawing colourful sketches in exchange for donations – after his two- year-old brother, Noah, was treated at the The Royal Hospital for Sick Children, Edinburgh. With some help from dad, Ed, he developed his website (jackdrawsanything.com) to chart his progress. He was presented with his award in Glasgow last night (Tues, 25 Oct) at a special ceremony. Celebrities including TV presenter Fern Britton, musician Brian May and actor David Tennant have all congratulated Jack on his efforts. Rich Pearson liked this post. Ryan Brown liked this post.